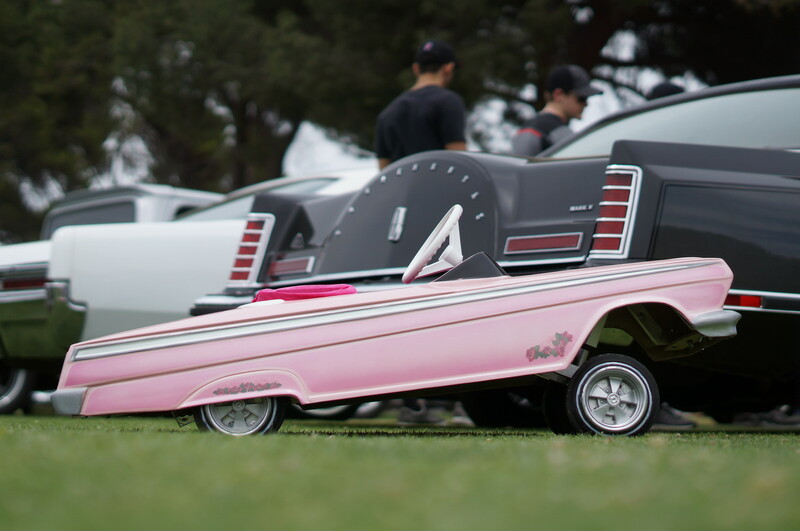 As a new dad, graphic designer, artist and custom car enthusiast; when my daughter was born, my creativity shifted gears from creating for myself, to creating for my daughter. 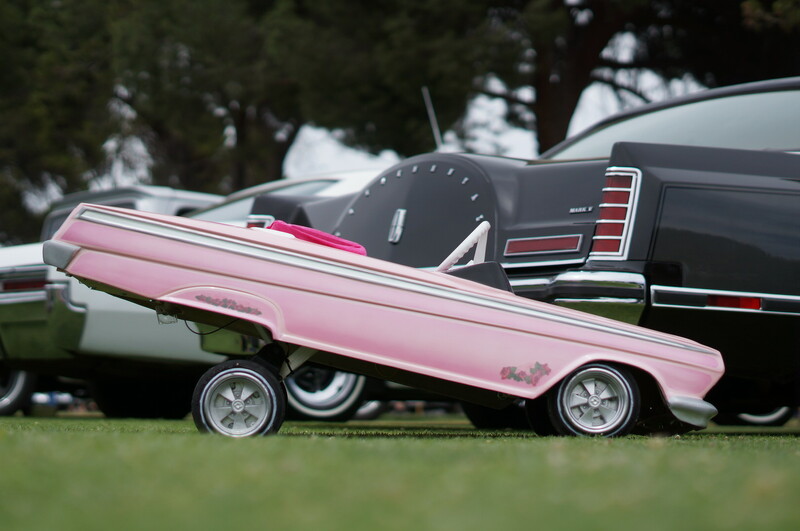 I’ve built a 1962 pedal car RC lowrider from the ground up., It’s painted it in a traditional fadeway style, 3d designed and printed one of a kind Cragar / Rocket style wheels and plaque and fabricated custom suspension to drive, raise and lower the car wirelessly. 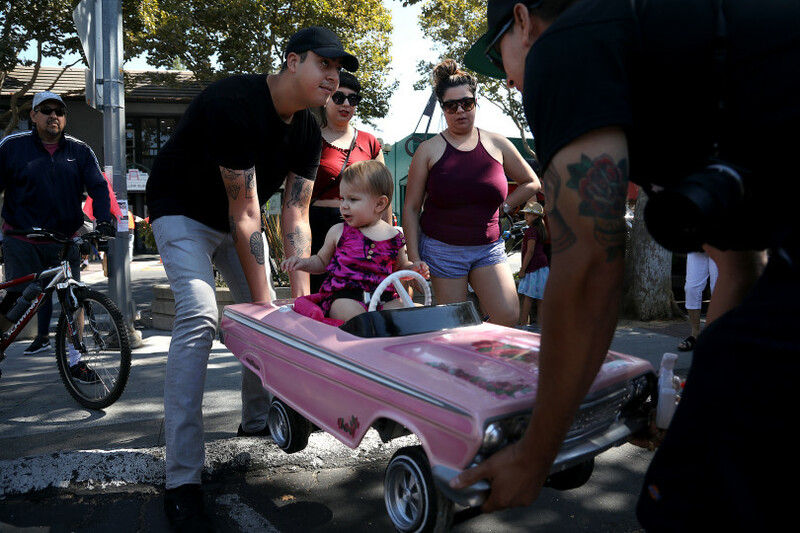 Featured at many car shows over the summer, published in the San José Mercury news and filmed by KPIX News. 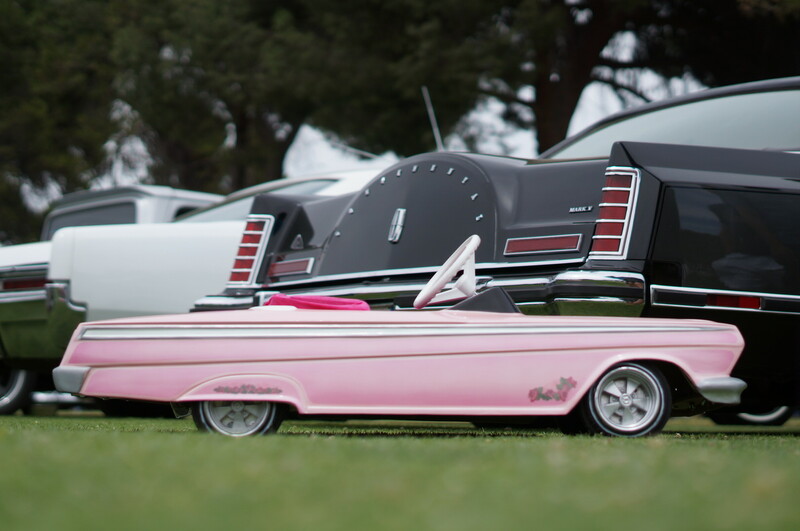 Little Gypsy car appears at 00:40 seconds. 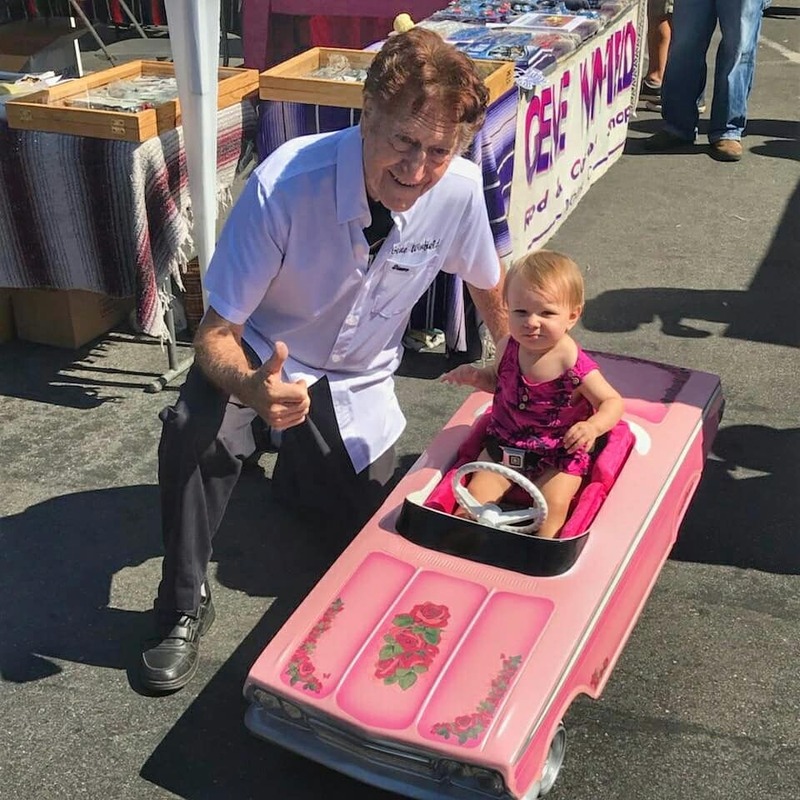 Photographed below with world famous car builder Gene Winfield.